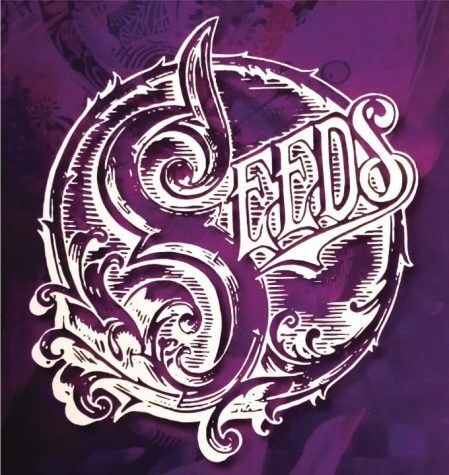 NEIU’s literary arts journal SEEDS 2018 edition premiered at the launch party in the Golden Eagles room on May 3rd. The launch party was open to the public and sent out invites via email to the contributors. Editor-in-Chief Airam Velasquez could not attend; however, Jenn Lee, managing editor, took the floor. Lee opened the launch party by introducing the SEEDS staff and talking about this year’s journal. The 122-paged journal features short stories, poetry, photography and artwork by NEIU students and faculty. The journal’s photography and artwork are in color and printed in high-resolution. The subjects of all the work submitted is across the board; from traveling, coping with mental illness, heartbreak, love, and substance abuse. After introductions, Lee opened the floor for contributors to read their work, explain their photography or artwork if they wished. Writer Vanessa Macias read her poem titled, “Rester, c’est exister. Mais voyager, c’est vivre.” Macias said the French title means “to stay is to exist, but to travel is to live,” and said her love of traveling inspired her to write that poem. The poem is from a series of voyage inspired poems and Macias said she hopes to travel more in the future. Artist Alfredo Mirando took the floor by reciting quotes from famous philosophers and writers to explain his painting on page 101, which uses religious imagery and contrasting colors. His work is found throughout the journal. Writer Katharina Losacco read her poem titled, “Let’s Sit & Talk.” Losacco’s poem intertwined a joke within the topic of therapy. The line, “I say she’s the most expensive friend I have,” received a few chuckles from the crowd. The journals handed out at the launch party were from a small-batched run. There will be many more printed and ready to be picked up soon and can be found around campus. Nicole F. Anderson is a SEEDS contributor.